It is considered the last step in polymerization. The structure of all thermo sets looks like a network. All the molecules are permanently cross-linked together in a 3D network. This structure makes all thermo sets products maintain their high strength and hardness in relatively high temperatures. In addition, they have high chemical and creep resistance. Table 1.1 shows some of the mechanical properties of thermo sets materials. The unrecyclable mixed "different types" plastic waste "plastic rejects" can be collected and sorted into three groups (according to the technology used for size reduction): rigid thermoplastics, thin film thermoplastics, and thermo sets, as shown in Figure 1.7. The plastic rejects can be produced as a result of sorting and screening of mixed solid waste to separate organics from inorganic waste. FIGURE 1.7 Mixed plastic waste. The rejects might have some nonplastic waste, such as glass culets. The first step to recycle plastic rejects is to reduce the size so it can be mixed with other additives and produce a homogeneous mixture. The size of rigid plastic can be reduced using horizontal axis shredders shown in Figure 1.8, while thin film plastics such as black plastic bags used for trash can be agglomerated using a vertical axis agglomerator machine shown in Figure 1.9 to reduce their sizes. Thermo sets can be crushed using a ball mill, shown in Figure 1.10. Melamine, the most common type of thermo sets, will be used as an example of thermo set. It is usually found in a form of plates, cups, and other products. In order to recycle Melamine, it must be changed from the rigid forms into a powder form as to be mixed with the thermo plastics. Changing the Melamine into powder can be done through the ball mill machine shown in Figure 1.10. 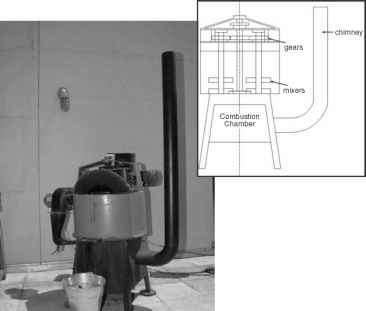 The rigid thermo plastic waste is fed into a shredder shown in Figure 1.8 for size reduction and then cleaning with caustic soda in a warm-water bath after shredding. The shredder consists of a horizontal drum with four rotating blades opposite to stationary blades shown in Figure 1.8. The shredded plastics pass through a grid into a collecting tray. The sizes of shredded plastics range between 5 to 10 mm in size according to the grid used. 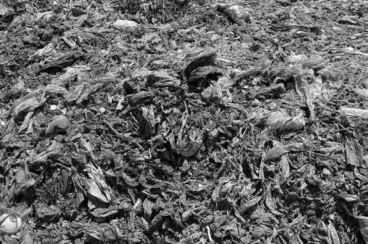 The shredded plastics are collected in bags or containers to be further reprocessed or sold. The end products of shredding are irregularly shaped pieces of plastic, depending on the required final product and the type of industry that will use it. FIGURE 1.8 Shredding "crushing" machine. FIGURE 1.10 Ball mill machine. 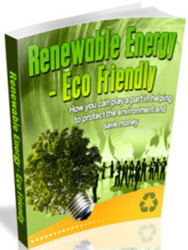 Shredders can also be used for plastics films, bags, and sheets to be shredded into small pieces, but the energy consumption is more and the produced capacity is less. So, it is recommended to use an agglomerator that cuts, preheat, and dry the plastics into granules. The agglomerator will increase the material's density and quality, which will end up with a continuous flow in the extruder and hence better efficiency. 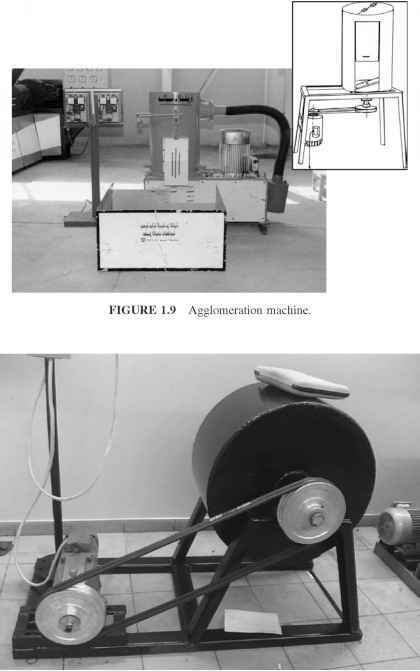 In the process of agglomeration, heat is added indirectly through friction between plastic film and the rotating blade located at the bottom of the agglomerator, shown in Figure 1.9. It is therefore important to rapidly cool the plastic film to obtain the crumb shape desired. This is achieved through adding a small cup of water. The ball mill machine used to crush thermo sets consists of an electric motor with a gearbox to make speed reduction down to 40 revolutions per minute. The motor is connected with a pulley to translate the motion through a belt to another pulley, which is connected to the shaft. The shaft carries a cylindrical drum in which the melamine or other form of thermo sets is inserted. The drum is welded to the shaft and the shaft is carried by two bearings at both ends of the shaft as shown in Figure 1.10. The balls within the ball mill machine will convert the thermo sets into powder by the gravitational force of the balls. Therefore, the particle size of the powder can be controlled through the number of balls, ball shape, and the time the machine will operate. 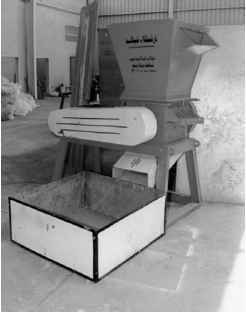 The recycling system for mixing plastic wastes as shown in Figure 1.11 consists of a volume-reduction step to reduce the size using agglomerator to cut the plastic bags into small pieces (granules), shredder to cut the rigid plastic into small pieces, and/or ball mill to crush the thermo sets. 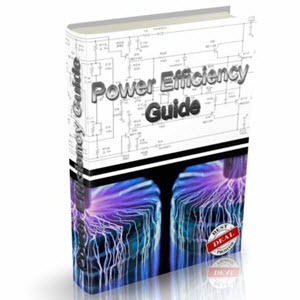 After the volume-reduction step, a mixture of the three with a certain percentage will be used with some additives to adjust the properties and appearance and heated indirectly to 140° to 240°C depends on the mixture and required applications. The indirect heating process occurs in an indirect heating furnace shown in Figures 1.12 and 1.13. Figure 1.12 demonstrates the vertical axis mixing and heating furnace. Figure 1.13 illustrates the horizontal axis mixing and heating furnace. Both designs guarantee a good mixing of the wastes and additives with indirect heating to produce a homogeneous hot paste for further processing. The hot paste is then transferred to the mold according to the required shapes and applications. 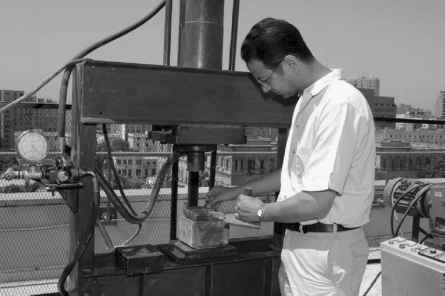 The mold will be placed in a hydraulic press to be pressed into the required shape shown in Figure 1.14. The mold will be cooled for 20 to 30 minutes according to the product. 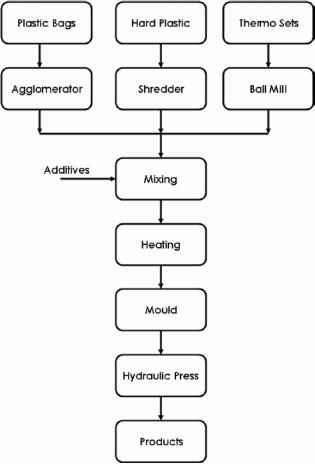 FIGURE 1.11 Process flow diagram for recycling plastic mix. quality control and quality assurance. A number of products were produced with very good success according to the standard, such as bricks, interlocks, table toppings, wheels, manholes, road ramps, and sheets. FIGURE 1.12 Vertical axis mixing and heating furnace. 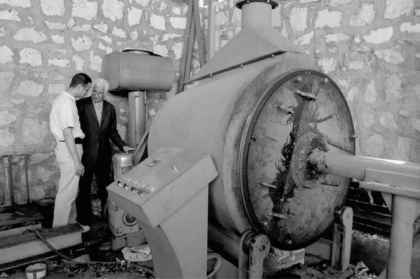 FIGURE 1.13 Horizontal axis mixing and heating furnace. 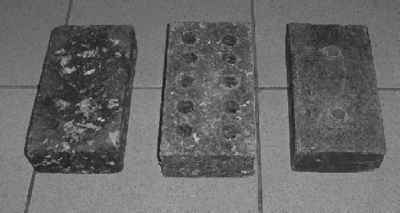 FIGURE 1.15 Development of bricks. profitable when compared to the ordinary bricks, including the cost of adhesives. This type of bricks might have special application other than ordinary walls for construction applications. FIGURE 1.16b Application of interlocks. 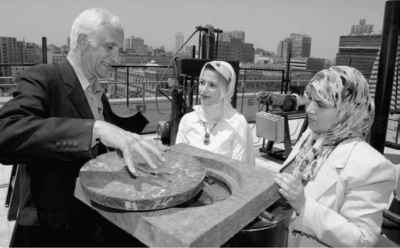 FIGURE 1.17 Manhole cover and base. factory floors, backyards, and so on. 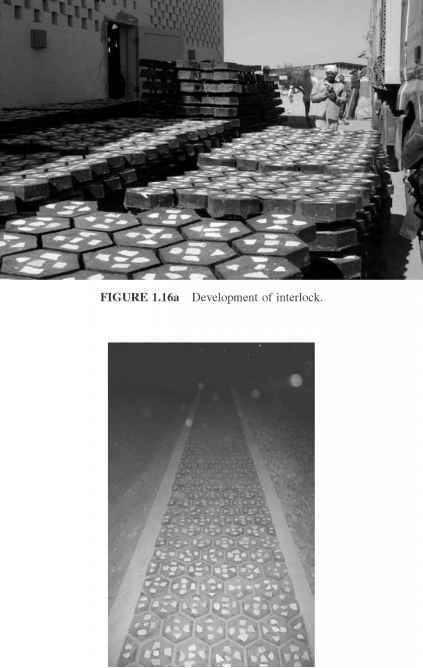 The interlocks made out of plastic rejects with additives proved to have higher strength according to ASTM standard than the normal interlock made out of cement, aggregate, and sand.9 Figure 1.17 shows another very important application (manhole cover and base) that is much more profitable than interlock. A manhole or maintenance hole (sometimes called an inspection cover) is the top opening to an underground vault used to house an access point for making connections or performing maintenance on underground and buried public utility and other services including sewers, telephone, electricity, storm drains, and gas. The manhole cover is designed to prevent accidental or unauthorized access to the manhole. Manhole bases and covers are usually made out of case iron or reinforced fiber plastic (RFP), or can be produced out of plastic rejects. The main advantages of manholes made out of plastic rejects are less cost, less energy consumption, durability, and being acid proof. The weight can be adjusted by adding sand to the mix. Sand will increase the required specific weight up to a certain percentage (28 percent) to avoid any strength impact. The carrying load for 40 cm manhole is 1.8 metric tons, which is slightly higher than fiber-reinforced plastic (FRP) manholes and can be increased by adding steel bars. Manhole covers are round because manholes are round; they could also designed with any geometry according to the required dimensions. Round tubes are the strongest and most material-efficient shape against the compression of the earth around them. A circle is the simplest shape whereby the lid cannot fall into the hole. Circular covers can be moved around by rolling. And they need not be aligned to be replaced. FIGURE 1.18 Partitions made out of rejects. made with different geometry and dimensions. Manhole bases and covers proved to be an excellent product out of rejects from social, economical and technical points of view. Another application made out of rejects is sheets with any dimension and thickness, according to demand and needs. The partition shown in Figure 1.18 is 120 cm by 120 cm with 10 mm thickness to replace corrugated sheets or plywood. The sheets made out of rejects are much cheaper and more durable than corrugated sheets or plywood. These sheets can replace MDF (medium fiber boards) as well in many applications. 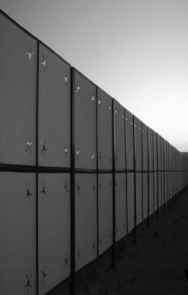 Also, they can handle all weather conditions such as high/low temperatures, wind speed, and humidity. How to increase the hardness of a plastic? How to increase the hardness of PVC sheet?